A panel of state lawmakers is set to reconsider the complicated way Texas funds its public colleges and universities on Wednesday after an attempt to overhaul the system failed last year. 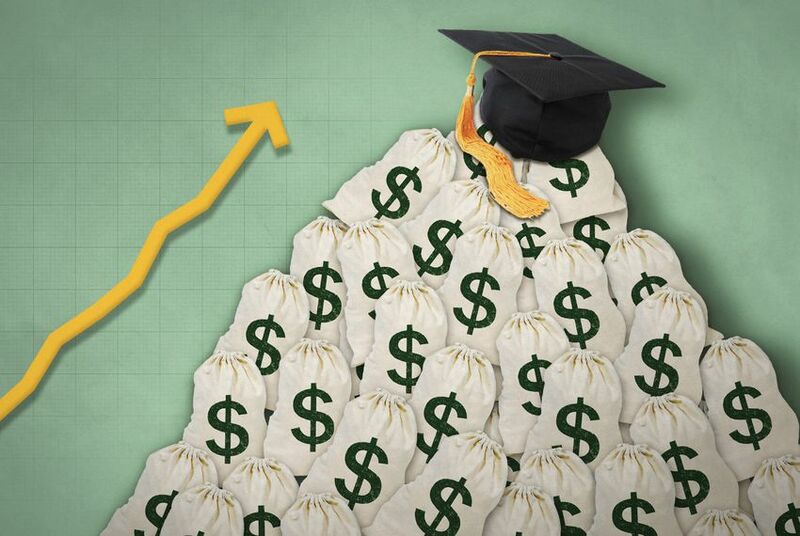 After lawmakers last year failed to overhaul how the state funds its public colleges and universities, a special committee on Wednesday will begin a new attempt to review the complicated higher education finance system in Texas. Complaints have crescendoed about eroding government support for higher education. But at stake in the coming months isn't how much money Texas pumps into its colleges and universities; it’s whether the state’s method of disbursing nearly $3 billion per year to those schools through formulas and direct appropriations is due for a comprehensive makeover. "The way we fund higher education in Texas is overdue for a close, detailed look and consideration of substantial changes," said state Sen. Kelly Hancock, R-North Richland Hills, one of the committee's co-chairs. The Joint Interim Committee on Higher Education Formula Funding was convened out of a compromise at the end of the 2017 legislative session following an unsuccessful bid by Senate leadership to overhaul the higher education finance system entirely. The Senate's efforts panicked college leaders and were rejected by powerful members of the House, who have generally called for modifications to be made in lieu of wholesale changes. Stymied, lawmakers agreed to preserve the current system for the next biennium but directed an interim committee to study it and issue recommendations by April 2018. The committee is made up of five representatives tapped by Republican House Speaker Joe Straus and five senators appointed by Republican Lt. Gov. Dan Patrick, none of whom serve on the upper chamber’s higher education committee. Though the panel has leeway to reshape the system, they’d have to overcome numerous political hurdles — and inertia — to do so. It’s unknown who will take the helm of the House in 2019 — Straus is not running for re-election — and the competing interests of legislators and schools make consensus difficult. There are two main components to the state’s current method of funding higher-education: “special items” earmarked for specific projects and a per-credit allocation disbursed using a formula. The “special items” are funds allocated outside the normal formulas to give schools cash infusions to start up new programs or pay for initiatives not always within their academic mission. But state Rep. Trent Ashby, R-Lufkin, one of the committee’s co-chairs, said they’d caused “some heartburn for members,” and they’re set to be the focus of a separate hearing later this month. In the previous biennium, the 362 special items ranged in cost from a $31,500 research initiative at Sul Ross State University to a $61,397,900 allocation for the University of Texas Rio Grande Valley’s School of Medicine. Some schools receive what amounts to a supplement through the “special items” allocation process that they use to hire more professors and staff. But the “special items” funding stream has drawn ire from lawmakers who say it’s grown too large and is duplicative of the per-student allotment. Critics have also argued that the items are distributed unevenly among universities and that state budget writers usually don't go back and evaluate whether they should be kept in subsequent budgets. “Special items were intended to support research, startup costs and other initiatives, not to remain as never-ending line items in the state budget,” state Sen. Jane Nelson, R-Flower Mound, the Senate’s lead budget writer, said last year. Last session, some senators tried to zero out the $1.1 billion in funding meant for “special items,” offering to mitigate the effects of the cut with a $700 million infusion to the per-credit pot. The move agitated university leaders, who protested that “special items” frequently pay for entire programs or medical schools. “The sky really is going to fall if you pass this bill,” Texas A&M University System Chancellor John Sharp said at the time. Some universities argue that money removed from the "special items" stream could not be easily replaced. Even if the items were eliminated and the money were reallocated, it would be diffused into the per-credit stream, critics say. That might mean some important projects designated to receive specific money — like the McDonald Observatory in the University of Texas at Austin budget — might be harmed financially. The per-credit funding mechanism has critics, too, but is less frequently in lawmakers’ crosshairs. Much of it is calculated using a formula that largely hinges on how many students an institution has and what discipline those students are studying. Data from the Texas Higher Education Coordinating Board shows engineering students cost more to educate than their liberal arts peers, so the formula gives a greater weight to engineering when calculating how much money universities should be paid. Schools also receive funding for infrastructure costs through this stream, but under a different formula based on square feet and utility rates. Detractors argue the formulas aren’t a good proxy for what universities’ costs are and don’t accurately account for part-time or other nontraditional students. Colleges with rapidly swelling student populations also complain of budgetary shortfalls, since the per-student funding is based on past years’ enrollment data. Though it may prove politically impossible, the committee has license to recommend an overhaul of how higher education in the state is financed. Its charge says lawmakers can consider realigning or eliminating “special items” and improving the per-credit allocation. Rather than basing it on the number of students in each discipline, lawmakers could tie a school’s funding to how well their students perform. Hancock said the committee should "absolutely see what lessons can be learned from states that successfully implemented outcomes-based funding at four-year institutions," and the possibility is slated to be discussed during at least one panel Wednesday. The state’s community and technical colleges already receive their funding through a formula that factors in students’ performance. At the Texas State Technical College System — appropriations for which have been tied to graduates’ earnings for the past few years — the switch has “worked in a big way,” said Chancellor Mike Reeser. What happened, Reeser said, is administrators’ “obsession” with maximizing class-time was "replaced with an obsession with making sure kids got jobs and making sure they got the training they needed to get good salaries.” Graduation rates there increased 42 percent over a six-year period, and graduates' salaries went up 83 percent. “Our mission is to create a skilled workforce, so using student employment outcomes was a very natural thing to do,” Reeser said — but he added that institutions with broader goals, like four-year universities, would need to be evaluated using different metrics. As an alternative to replacing the formula based on headcount with one based on students' performance, some university officials say lawmakers could add a sort of outcomes-based supplement — a bonus for schools where students perform well. "Having some type of performance funding tied to each institution's mission, in addition to a consistent and stable model for funding would benefit Texas students and our economy," said UT-Arlington President Vistasp Karbhari. Sul Ross State University, the Texas A&M University System, the University of Texas at Austin, the Texas State Technical College System Board of Regents and Mike Reeser have been financial supporters of The Texas Tribune, a nonprofit, nonpartisan news organization that is funded in part by donations from members, foundations and corporate sponsors. Financial supporters play no role in the Tribune's journalism. Find a complete list of them here.